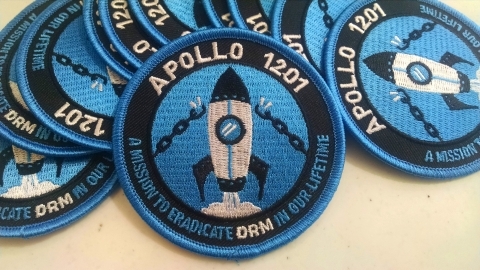 Section 1201 of the US Digital Millennium Copyright Act (1998) give DRM incredible protections: it's illegal to bypass DRM in products you own, for legal purposes, and merely investigating or revealing defects in products with DRM can land you in jail. Every three years, the US Copyright Office asks the public to apply for exemptions to this rule, and this year, the Electronic Frontier Foundation has prepared the best-ever slate of exemptions applications. These exemptions will make a real difference for people who own computers, people who fix devices that have computers in them, people who research security problems with computers, and people who make fair use of digital works. One caveat: although this is the best slate of exemptions EFF could realistically ask for, the DMCA says the Copyright Office can only grant "use" exemptions (the right to do something), not "tools" exemptions (the right to make a tool in order to do something). So if, say, EFF's petition to legalize bypassing DRM to make fair use of copyrighted works is approved, that only empowers each person in the USA to personally figure out how to write a computer program to let them pull a clip out of a DVD or stream, and then to use it. But everyone is still banned from sharing that tool, or helping others to make a tool of their own. Software - enabled devices are ubiquitous in modern life. One consequence of this phenomenon has been limiting the ability of device owners to repair, diagnose, or modify their property, thanks in part to restrictions impose d by Section 1201(a)(1). As a consequence, competition and innovation are reduced in the markets for repair parts, alternative software, and peripherals that could interoperate with software - enabled devices. TPMs enforce ignorance over the inner workings of the device in your life, inhibiting learning as well as important investigations into privacy and safety risks. Copyright law was never intended to enforce ignorance of a work when you own a copy of that work. An exemption is necessary to prevent it from doing so. Jailbreaking describes practices that allow device users to install or remove software of their choosing. Jailbreaking or rooting require circumventing access controls imposed by the manufa cturer that would otherwise prevent such modification. The Register of Copyrights has recommended, and the Librarian of Congress has enacted exemptions relating to jailbreaking in three previous triennial rulemaking cycles, beginning in 2010. [c]omputer programs that enable smartphones and portable all - purpose mobile computing devices to execute lawfully obtained software applications, where circumvention is accomplished for the sole purpose of enabling interoperability of such applications with computer programs on the smartphone or device, or to permit removal of software from the smartphone or device. For purposes of this exemption, a “portable all - purpose mobile computing device” is a device that is primarily designed to run a wide variety of programs rather than for consumption of a particular type of media content, is equipped with an operating system primarily designed for mobile use, and is intended to be carried or worn by an individual. Besides broadening the category of devices subject to the exemption, the 2015 rule also acknowledged additional reasons to jailbreak computing devices: to remove unwanted software, and to enable timely operating system upgrades and security fixes. This year, as part of the newly instituted process for renewing previously granted exemptions, the Acting Register announced that she intends to recommend renewal of the 2015 jailbreaking exemption for the 2018 - 2021 period. The renewal and expansion of these exemptions reflects how the family of personal computing devices containing firmware access controls has evolved and become part of everyday life, along with the corresponding need to circumvent those access controls in order to adapt those devices to make them more efficient and effective. As repeat players in these proceedings, particularly with respect to video excerpt exemptions, EFF, NMR, and OTW notice that a pattern has emerged: a set of proponents submit ideas for exemptions to cover a variety of practical, socially valuable and other wise lawful activities, a coalition of entertainment entities object – insisting, without evidence, that the proposed exemption might harm the continued growth of video markets – and then, eventually, the Librarian adopts a set of exemptions that recognize the need for an exemption, but are nonetheless both narrow in concept and often confusing in practice for users and copyright holders alike. HDMI is a standard for video transport from one device to another. The signals are often encrypted using a version of HDCP. HDCP interferes with creative, noninfringing uses of the video being conveyed over HDMI, preventing remix, time - shifting, space - shifting, format - shifting, overlay of original imagery over a video signal, comparison of multiple video streams on a single display, and picture - in - picture display. An exemption is necessary to reduce the impact of Section 1201 on these protected forms of speech. Pepsi has confirmed that it has files lawsuits against four farmers in India who grew a variety of potato that was registered as being for the exclusive production of the company's Lay's potato chips.